A wacky wife and her darkly exotic husband teaming for TV? Hey, it worked for Lucy and Desi – why not Melanie and Antonio? Antonio Banderas reveals that he and his wife Melanie Griffith have a series project in the works from a concept by the hubby which may feature the Mrs. in the lead role. Antonio Banderas talks about the "Shrek" franchise finally coming to a close and how his character, Puss in Boots, will live on. 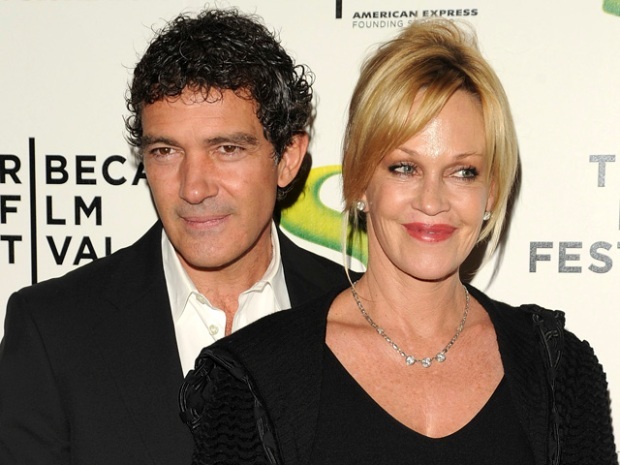 Banderas and his wife Melanie Griffith also discuss how they make sure their kids stay on the straight and narrow.